CrossTimber is a unique family run business who specialize in name meaning gifts. The owners were homeschooled and now homeschool their own children. I found myself laughing out loud as I read how their name meaning business venture began. I could also relate to the story having sent two of my own children to a public school driver's ed program. You can read more about their story here. 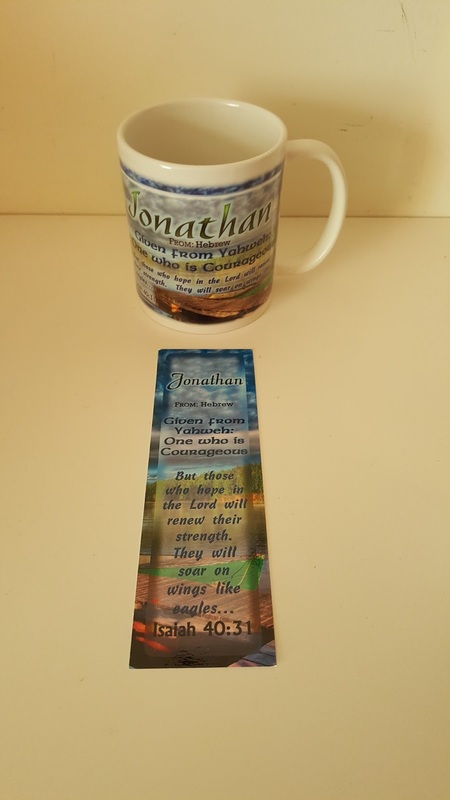 Their products not only include the meaning of the recipient's name but they also add in a Bible verse to go with the name meaning. They offer several categories of vibrant and colorful graphics to choose from to add to your product. The image categories are Faith & Inspiration, Animals & Creatures, People & Relationships, and The Great Outdoors. 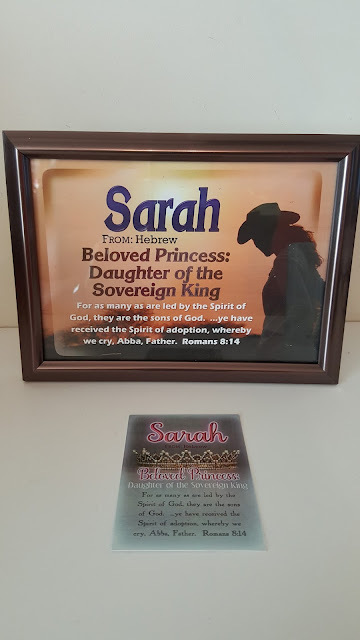 We had the opportunity to review the Personalized Framed Plaque with Name Meaning and Bible Verse, and I had that personalized for my daughter. Perusing the website at all the beautiful images available, I also decided to purchase two additional coffee mugs for my boys as well. All of my children were so excited when I presented them with their gifts! There is just something about seeing your unique name on an item that pushes it over the top. My original intent was to keep these for Christmas gifts but I just could not wait! We received our gift items just after Hurricane Matthew departed and our package looked a little like it might have floated down the river to reach us. My first thought was, "there is no way those coffee mugs can be in one piece." 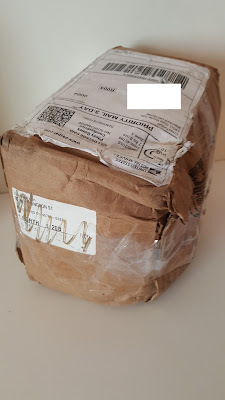 Well, I was extremely happy to open up the package and see that they were completely in tact - not even a chip! 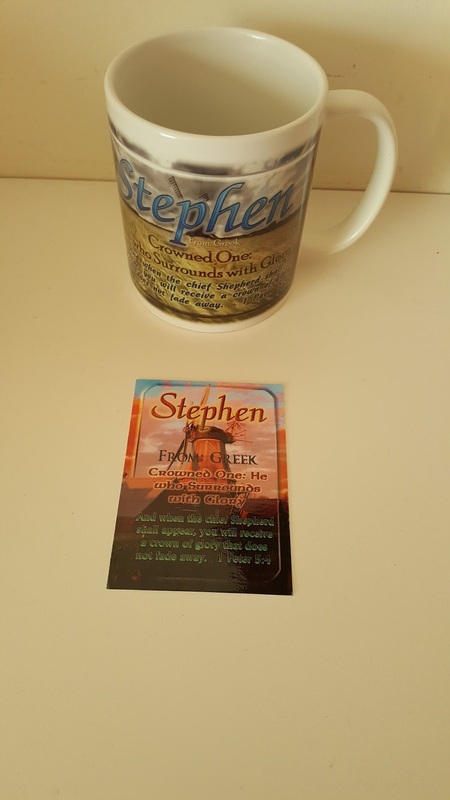 The coffee mugs were made of heavy ceramic and the images have a glossy finish making the colors really pop on those white 11oz mugs. 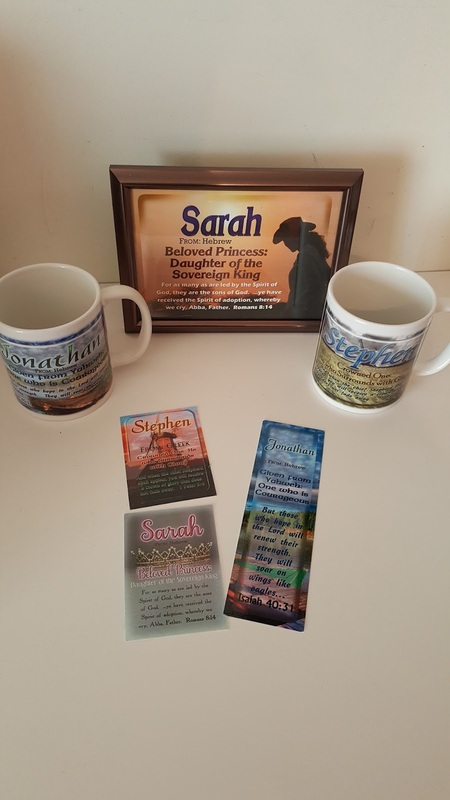 There are many options available for an additional charge to help you personalize your gifts including personal message inscriptions, gift boxes, left handed or right handed mugs, mugs that fit together with heart handles, or just adding a name or a Bible verse to mug. The name plaque we choose came in a 5x7 glossy print and is labeled as smudge free and fade free. We chose the metallic-brown frame and I was pleasantly pleased with the quality. It measures approx 6x9 and comes in a shiny brown metallic color. It is plastic but the color finish makes it seem metal. It includes a small hook for hanging and a stand. The color and style matched the name print we chose beautifully! The name plaques have 4 styles of frames to choose from and vary in price from $23-$29.95 + shipping. Those prices include the name print and frame. You also have the option of just choosing the 5x7 name meaning print itself if you wish. You can order those prints by mail or as a PDF printable and both cost $18 each + shipping . Since I ordered 3 items, I received a 10% discount off my order and matching bookmarks or pocket cards which made my gift a little more special. You can also receive that same offer. See the graphic below for additional discounts! I think these products will make perfect Christmas gifts! These are also wonderful gift ideas for that friend whose name is not spelled the traditional way or for the friend who has a unique name altogether. 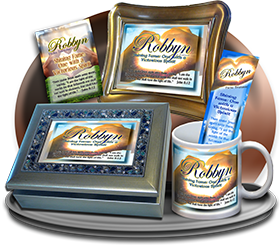 What I loved most about these products are the Bible verses that are researched and chosen to accompany the name meanings. What a beautiful way to share God's Word with family and friends! Until December 4th, 2016 you can enter to win your very own personalized name meaning product or a $10 gift certificate by entering the giveaway below. Curious to find out your name meaning? CrossTimber will be glad to assist you with that free of charge! Their love of researching names really shines through in their product line. Simply visit their website, click on the chat box, and find out what your name means. Find out more by visiting CrossTimber on Facebook and Pinterest. 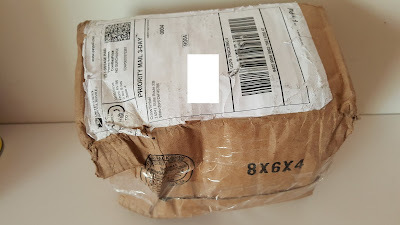 Wow, your package got crushed! So glad the mugs and frame were ok! Thanks so much for your review, Melissa! Let me know when you need more name meanings looked up! I was so glad nothing was broken! Thank you!